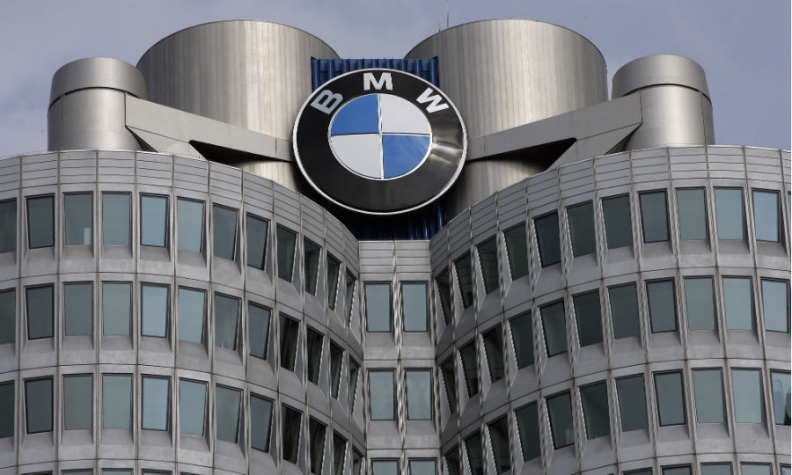 FRANKFURT (Bloomberg) -- BMW Group reported a 17 percent surge in March sales at its namesake brand as deliveries rose to 186,126, helping the carmaker cement its hold on the top spot in global premium car sales. Last month's gain pushed first-quarter deliveries up 12 percent to 428,259 vehicles, the automaker said in a statement today. BMW outsold second-ranked Audi by 15,409 vehicles in the first three months. BMW, Audi and Mercedes-Benz all posted their highest monthly sales ever in March on surging demand in China and the United States, the world's two largest auto markets. The competition between the three is heating up after Audi briefly passed the BMW brand in sales at the beginning of this year, and Mercedes' new compacts have helped the automaker make gains. All three are targeting record deliveries in 2014. "BMW should retain its lead," said Juergen Pieper, a Frankfurt-based analyst at Bankhaus Metzler. "It's ahead in terms of products and technology. Audi is feeling the most pressure this year as high-volume models like the A4 and the Q7 won't come out until 2015." March sales at Audi climbed 15 percent to 170,450, while deliveries at third-place Mercedes rose 13 percent to 158,523. Audi, owned by Volkswagen Group, reported a 12 percent first-quarter increase to 412,850 vehicles, compared with a 15 percent improvement to 374,276 cars at Daimler’s Mercedes brand. The gains marked Audi's 51st straight monthly sales increase and Mercedes's ninth consecutive month of growth exceeding 10 percent. BMW's gains were led by demand for its portfolio of SUVs, which are built at a South Carolina plant that the automaker is spending $1 billion on to expand capacity by 50 percent. First-quarter deliveries for the X1 SUV climbed 15 percent, the X3 11 percent and X5 14 percent. "Sales of our BMW X-vehicles have been particularly strong," Ian Robertson, the automaker's sales chief, said in today's statement. "Despite continuing economic uncertainties, we are experiencing steady improvements in almost all regions." Audi, which has never held the top luxury-car sales post for an entire year, will introduce 17 new or revamped vehicles in 2014 as part of a push to overtake BMW in the luxury-car market by the end of the decade. Audi's parent VW targets the top sales spot among all auto producers by 2018. The division introduced a fresh version of the A3 compact in 2013 and is rolling out the new sedan variant of the model in the U.S. and China this year. BMW is responding with the upgraded X5 SUV introduced in November. The new 2-Series Active Tourer hatchback, X4 SUV and i8 plug-in hybrid sports car are coming out this year. BMW Group, which also owns the Mini and Rolls-Royce brands, is forecasting that group sales will exceed 2 million autos for the first time in 2014, achieving the target two years earlier than originally planned. "We expect demand for premium cars to continue to grow faster than the total market, both in China and the U.S.," said Christoph Stuermer, lead analyst at PwC Autofacts.